A white female Kendrick Lamar fan has been booed off stage for singing the N-Word after being prompted to do it by none other than Kendrick Lamar himself. The rapper invited the woman (who identified herself as “Delaney”) to perform his song “M.A.A.D City” with him at the Hangout Festival in Alabama, almost as if it was some sort of experiment or a set up? However, after she started rapping, he stopped her after she repeatedly used the N word in the song, which is actually heard in just about every line of the song. So it begs the question, as to why he’d pick a white fan to sing along with him in the first place, knowing full well about the N word lyrics beforehand? Now, many people believe that this was actually a staged event in order to orchestrate a controversial debate on race, and that it was all a genuinely staged event from the very beginning. Check out the full video below! Real or fake? We say that it planned but the ‘plan’ has backfired, and now many people are rolling their eyes at Kendrick Lamar for staging the event. Let’s take a look at some of the Twitter reactions to the incident. 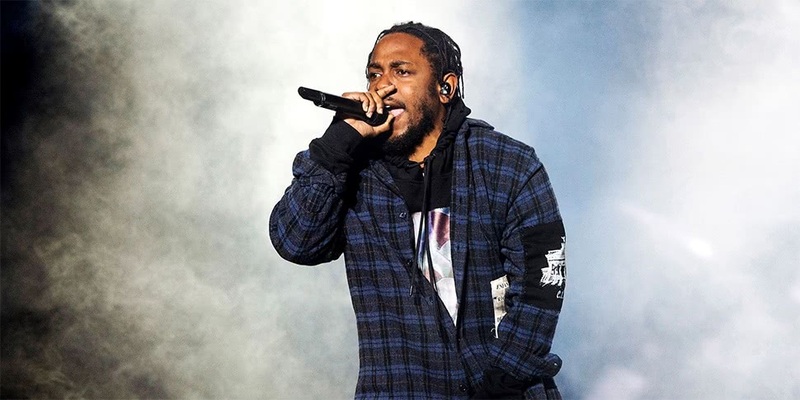 However, she was given a second shot when Kendrick asked the crowd if she should be given another try, and despite many disagreeing, he allowed her a second try at the song, only for her to be cut short again and then sent off stage. However, journalist and blogger Jessica Noah Morley spoke up for Delaney, saying that if Kendrick didn’t want her to use the N word, it shouldn’t be sung or even be put in the song itself. Overall, the reactions to Kendrick’s N word stage event got a mixed bag of feedback from the crowd, with some saying Delaney should not have sung his lyrics back to him, and others saying it was unfair as Lamar had put her in the spotlight and then dissed her, because she was white. Whilst others agreed with his decision to expose her on stage and get her taken off the microphone. It’s difficult to really say who’s right in this, because they’re wrong on both their parts, but since we also believe this was a staged event, we’d have to blame Kendrick Lamar. Whilst a white person shouldn’t use the N word, perhaps it would have been better not to pick a white fan to sing that particular song, or at least have her sing another song that didn’t include the word so much. Either way, Kendrick Lamar has shown himself to be divisive and also in using a race baiting tactic to stir up debate on racism from one of his shows. Kendrick Lamar did the right thing. So, do you believe Kendrick did the right thing by stopping the performance, and that Delaney should have known better not to use the N word, or do you think it was a poor decision on his part to include her in that song in the first place? Please do let us know your opinions on this debate, down in the comments section below. Lastly, we don’t think Kanye West would have done this to that girl, and it would be interesting to hear what was Kanye’s take on the matter. Kendrick Lamar surely still obeys his industry masters will, and hopes to keep everyone on the Democratic mental plantation for further generations to come. Where else would he get the majority of his musical material from? With a net worth of $18 million, Kendrick Lamar is still surely very oppressed and he even divides his audience into black and white. Previous Article← What’s Inside Anthony Weiner’s Laptop? Warrant for Laptop Unsealed!